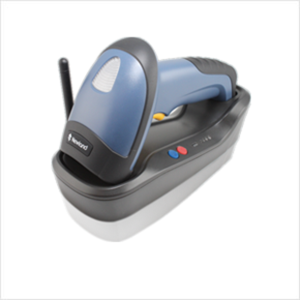 The NLS-HR3260-CS cordless 2D barcode scanner, armed with the state-of-the-art barcode decoder chip invented by Newland, provides an ideal solution for most 1D/2D barcode scanning applications. This device fits comfortably in any user’s hands to reduce the fatigue of long-time operation, well suited for scan-intensive applications. With its core technology (decoder chip) independently developed by Newland, the device delivers a superior decoding capability on 1D and 2D symbologies (including QR Code, Data Matrix, PDF417). Used to connect the cradle to a host device. Used to provide power to the cradle.